When I first met Claire and Mike I got very excited as I have always wanted to photograph a wedding at the Holburne Museum in Bath. And I didn’t leave the day disappointed! 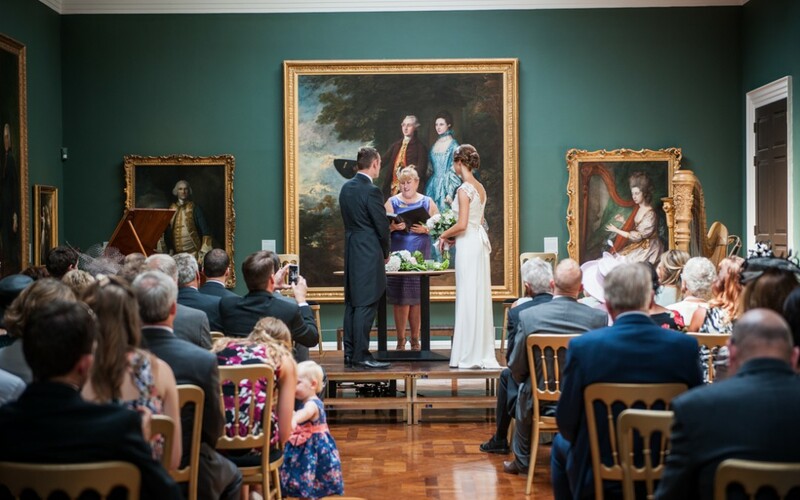 The museum is such a stunning and unusual setting for a wedding ceremony (the ceremony took place in the Brownsword Gallery), just beautiful! And that was not all: Mike and Claire chose Brittons Farm Estate as their reception venue so that’s where Claire got ready and that’s where we headed back to after the ceremony. A magician kept everyone entertained, the farm provided their own home reared lamb and we even managed a few night time sparkler shots at the end of the evening. All in all it was a fabulous wedding to be part of and to photograph! Despite an invitation, did not attend the wedding and have just looked carefully and happily through a most impressive collection of photographs. It can be seen that you had planned some elements of the day and together with some spontaneous positionings have set up many professionally brilliant shots. A fine piece of memorabilia that will be treasured in their family’s future – very well done! Thanks Malcolm! It was a fabulous day indeed.